In the spirit of its history, D.C. combines the stories of its ancestors with the flourishing culture of its current residents. 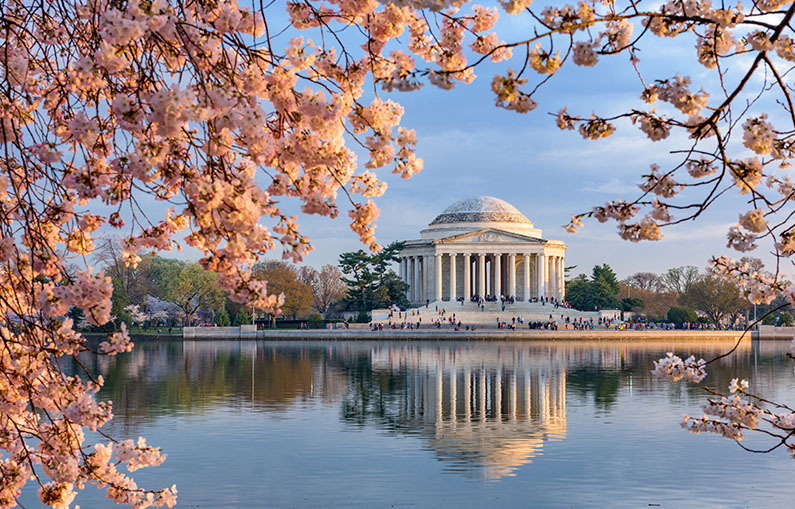 Whether you’re looking for a truly “historic” experience, or something a little more unexpected, D.C. holds an infinite number of adventures to be had. One of the most iconic sights of our nation’s capitol, the Lincoln Memorial pays tribute to our 16th president with a massive white marble statue. The sculpture’s sheer immenseness evokes a quiet celebration of the impact that Honest Abe has made upon America—from his humble beginnings to his enduring political legacy. As the site of such famous speeches as Martin Luther King Jr.’s “I Have a Dream,” the Lincoln Memorial offers a historic sense of serenity to its many visitors. With nearly 24 million catalogued books inside, the Library of Congress boasts a sprawling collection of words. These are, of course, not your run-of-the-mill archives: step inside and you will find stunning architecture, Reading Rooms each with their own rich history, and volumes of writing from every corner of the world. Be sure to take the free tour and sign up for a gratis library card while you’re at it—it lasts for two years and unlocks an infinite wealth of storied history, unexplored realms of knowledge, and the universally shareable experience of reading. While it is nearly impossible to narrow down the fascinating list of exhibits on display at the Smithsonian, Cher Ami certainly bears one of the most peculiar histories. At first glance, she may seem like your average bird—but this particular pigeon carried at least 12 significant messages within the American sector in France during World War I. After becoming wounded in flight and continuing on, Cher Ami was awarded the “Croix de la Guerre” for her service, and her story remains a nationally recognized tale of bravery. To plan your trip to D.C. or for an extended guide of things to do, visit the official D.C. city guide at http://dc.gov.